Okay it’s happening you are dressed. Baby is dressed and has a clean nappy. For now. You’re headed out for a coffee, fresh air, 5 minutes of adult conversation but most importantly COFFEE. Or as I like to call new-mum-life-sustaining-drinky-drinky-give-me-more. Where are you headed ? Where can you feed bub ? Where can toddlers have a play ? Where will your exhaustion be met with a friendly face and a warm cup of joe? Read up Mumma and Papa’s. I’ve got a few Blue Mountains baby friendly cafe suggestions for you. They get kids, they have a few of their own. 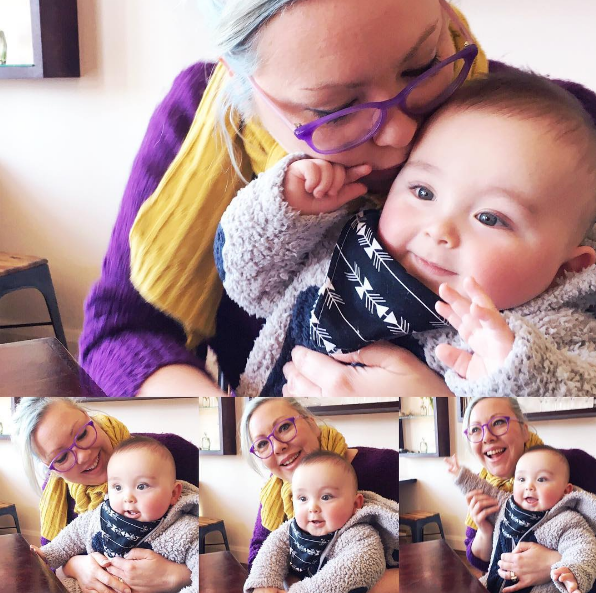 I first went to the Rust and Timber Bar when Oskar was about 3 months old and not sleeping well, I was met with the biggest smiles, genuine interest in my bub and as a result had the most relaxed lovely little outing. Which is a big deal when you’re a first time mum. The coffee is good, the hot chocolate is amazing. The waffles are delicious. It’s breastfeeding friendly and there is a huge basket of toys, a kiddy size seating area and most recently a community library box. We have a Cultural Centre? Huh. That’s what I said the first time another Mum told me about this place. But get this, you can park in the underground carpark at Coles and take the lift up to level 1 without having to ever step outside. Ta da! No exposing Bub to the weather #MUMWINNING. This makes it the perfect spot for rainy, cold wintery days. Yeah so pretty much 80% of the year living in the mountains. The coffee is good and comes with a teeny tiny biscuit. Eat it quick or lose it to small grubby hands. They have real food too. I’m a bit into the cheese and tomato toastie. There is carpeted area to set restless toddlers free and the library is in the same building. If you’re new to town a lot of the mum’s groups meet here. So it’s a great place to met or make some friends. This sweet little spot is my local. Oskar’s first ever outing was to the Parade for coffee and cake. It’s an intimate cafe setting full of warmth and local friendly faces. There is a basket of toys for the little ones by the counter. Outdoor seating is great in summer and there is a full breakfast and lunch menu if you’re hungry. I highly recommend the salted pistachio and dark chocolate cookies. Now Oskar is a bit bigger it’s harder to get him to stay in the high chair / cafe / get him to do anything I actually want him to do. Lucky for me the Parade is only two doors down from the shop. Or unlucky maybe for my wallet and waistline because everything is so delicious. Oskar enjoying one of his many visits to the Parade Cafe, Hazelbrook. It is a beautiful spot set in an old church with nice long tables. Perfect for catch ups with family and larger groups. The seating space is pram friendly and there is a outdoor play area for the bigger kids. Coffee, Hot Chocolate and a great selection of milkshakes. There is even an ice cream counter. I’m droooooooling typing this and I haven’t even mention the fresh baked cookies. FRESH BAKED COOKIES! YO! I have to give Tom and his team at Cortado a mention. I pretty much lived off their green smoothie during pregnancy. It’s a busy little spot with great coffee and lovely food. There you have it coffee lovers. Just a few of my favourite family friendly coffee spots in the Blue Mountains. I would love to hear if you have a favourite spot.